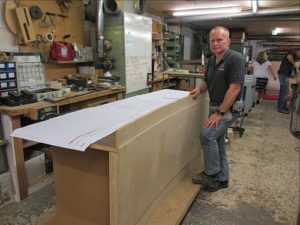 Wealden’s customer, Welsh cabinet maker Paul Rathkey, was recently given the task of creating two tables for the NATO Summit that seated more than 60 world leaders including Barack Obama. Paul’s team at Llandow-based Rathkeys made two tables for the event from four tonnes of wood. 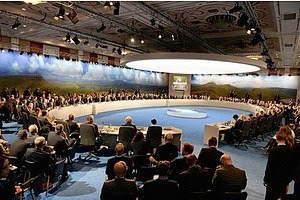 A 25 metre long table was used for the main meeting room with a second table, which is 17 metres in diameter, in a second meeting room used by leaders when they meet in smaller numbers. Both tables were made from a range of woods sourced from around Wales.